Cyndi Sterne Opens Yes, Chef! Culinary Events Cyndi Sterne Opens Yes, Chef! Culinary Events - Yes, Chef! Culinary Events - Atlanta Cooking Classes, Team Building and Culinary Private Events: Inspiring people and imaginations through the kitchen. (May, 2011) SANDY SPRINGS, GA – The consummate entertainer, Cyndi Sterne’s adult life has been lovingly devoted to cooking and entertaining, both personally and professionally. The cooking and entertaining bug hit her when Cyndi was a young child. After her father was recuperating from surgery, she would prepare and serve innovative lunches for he and his business associates to enjoy while they worked in her living room. This passion continued into adulthood when Cyndi made a concerted effort to make up for what she refers to as her “more than deficient housekeeping abilities” by overcompensating with her innately fabulous entertaining skills. Her home became the gathering place for friends and neighbors looking for a great meal, fabulous wine and an altogether fun time. When her first son was born she funneled these cooking abilities and her knack for preparing healthy recipes into making her own baby food. Then, as he got older and joined a playgroup, she would lead the group in a “Cook and Book” class each time they met at her house. A favorite was Maurice Sendak’s “Birthday Soup,” where she would teach the kids how to make their own Birthday Soup as she read them the book. For the past decade Cyndi has become known for her enthusiasm for cooking and pleasing her guests, never completely fulfilled unless she has at least 12 people at her dining room table. she consistently amazes guests with not only her cooking abilities, but her trademark cooking style … cooking in high heels and on a stool in order to get a bird’s eye view of all her pots and pans. 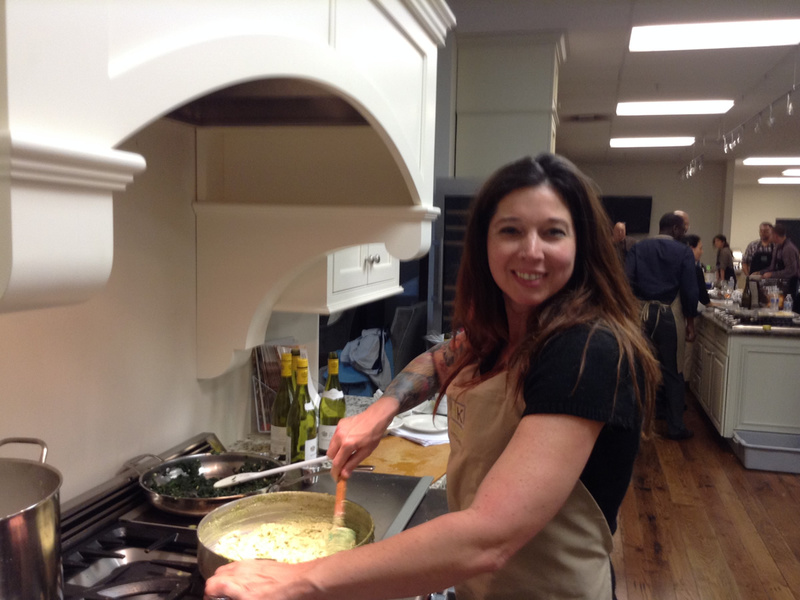 Her career began mirroring her personal life when, as Director of Youth and Family Programming for the Marcus Jewish Community Center in Atlanta, she was asked to take on the role of Cooking School Instructor. In was in this familiar role that she began leading perennially sold out Cooking and Pastry Camps for children. One of her most popular adult cooking classes was for the Pathways Group, made up of couples from inter-faith marriages. Cyndi would teach many of the women who had married into the Jewish religion the techniques to preparing traditional dishes for special holidays. After five years of teaching sold out classes, camps and spearheading popular birthday cooking parties at the JCC, this passion for inspiring people of all ages to have fun cooking became a full time obsession, and the idea to create her own cooking school was born. With motivation from her father Hal, Cyndi gathered years of ideas for clever cooking class themes and launched her own cooking school, Yes, Chef! Culinary Events in the Sandy Springs suburb of Atlanta. 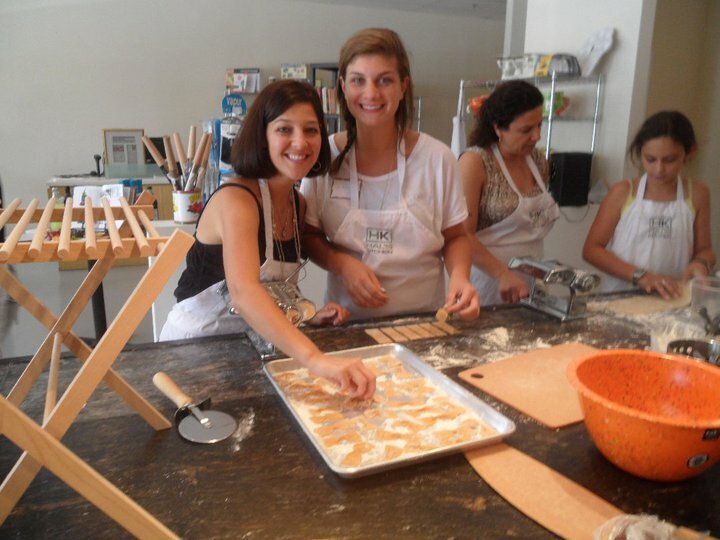 With classes devoted to everything from Girls Night Out to Corporate Team Building, Yes, Chef! Culinary Events is a cooking school devoted to creating an unprecedented cooking adventure.